This is just a quick post. I just wanted to hear your thoughts and share my experience and why I believe CT (computerized tomography) Scan is one of the best diagnostic tools for many medical concerns nowadays. I had CT Scan of the abdomen in 2014 due to severe abdominal pain. It was a long story you may read it here but to cut it short, it was through CT Scan that they found out I had ruptured appendix and peritonitis (infection and inflammation of the peritoneum or the linings of the abdomen). CT Scan saved my life so I'm really thankful that it was invented to diagnose many medical cases. 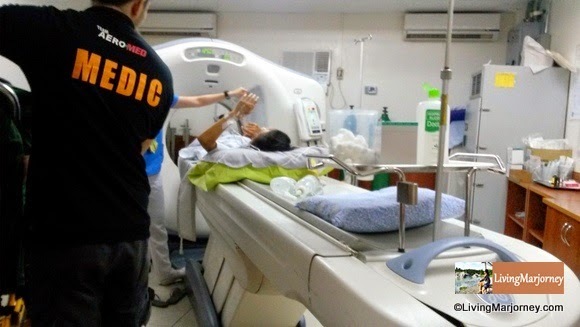 The cost of CT Scan in the Philippines depends where it is done (hospital, laboratory facilities), the type of scan and the part of body to be tested. I had mine done at De Los Santos Medical Center in 2014. It costs between Php8,000 - P10,000 if I remember it right. 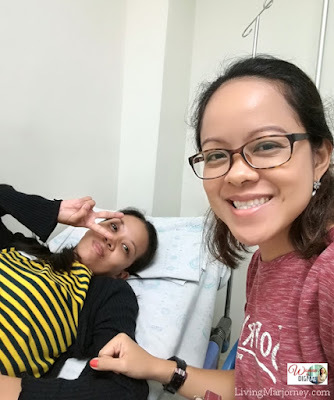 Just recently my sister Tina had to undergo a CT stonogram to diagnose her medical condition that causes frequent urinary tract infection and flank pain. CT stonogram at De Los Santos ranges from Php8,000 without contrast to P11,000 with contrast. She found iScan in Quezon City cheaper, the procedure costs Php4,500. Do you know any facilities that offers the cheapest CT scan in the Metro? CT Scan combines X-rays and computers to produce remarkably clear images of many parts of the body. It's huge and perhaps sensitive machine that's why it has to be in a very cold temperature as we often seen in hospitals and laboratory facilities. How to Prepare for CT Scan: With or Without Contrast? There are some preparation before CT Scan depending on the body part to be tested and the procedure. I was advised not to eat or drink few hours before the test because they needed to inject a contrast or dye. I was also given a hospital gown and instructed to remove all metal objects like jewelries. Advise your healthcare provider if you have pacemaker too. You also have to report previous cases of allergies before undergoing a CT Scan. I was also asked to tell the healthcare provider to report if I feel the urge to urinate and when I do, that's the time they will do the scan. My sister who underwent CT stonogram last week said she did not have any preparation. She just had to come with the doctor's request for CT Scan. The procedure I had then lasted about 15 minutes. It varies depending on the part of the body that needed to CT scan. 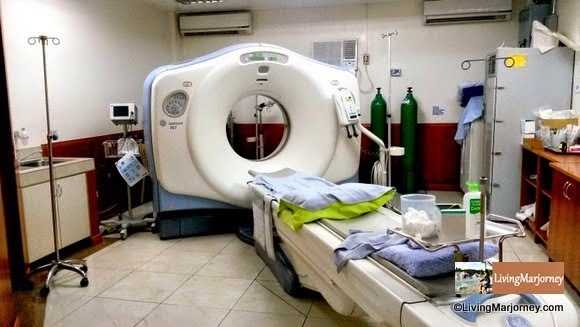 It's scary because you will be left inside the room, lying on a moving metal frame but CT scan is painless but you are required to lie down and not to move during the scan. CT Scan is very helpful, non-invasive procedure that detects many illnesses and diseases such as tumors, kidney stones, infection and the state of a specific organ. We are very thankful that through CT Scan, she was diagnosed and proper care was done immediately. The diagnosis was hydronephrosis, a condition wherein the kidney swells due to the failure of normal drainage of urine from the kidney to the bladder. The root cause is congenital or in-born. There's a mole that grew inside the ureter that causes abnormal urine flow. It was only after 33 years that we discovered it. She had surgery last Friday and on the road to full recovery.